Are you ready for another fashion trends inspirational pack? In today's post I am going to show you 23 awesome ways to wear jeans this Autumn season. There are lots of incredible styles to buy, but I highlighted the best ones, what for sure will fit your everyday lifestyle. You are going to see beautiful knee-ripped versions, shortened boyfriends, ankle-length slim-fits, black, white and blue skinnies. 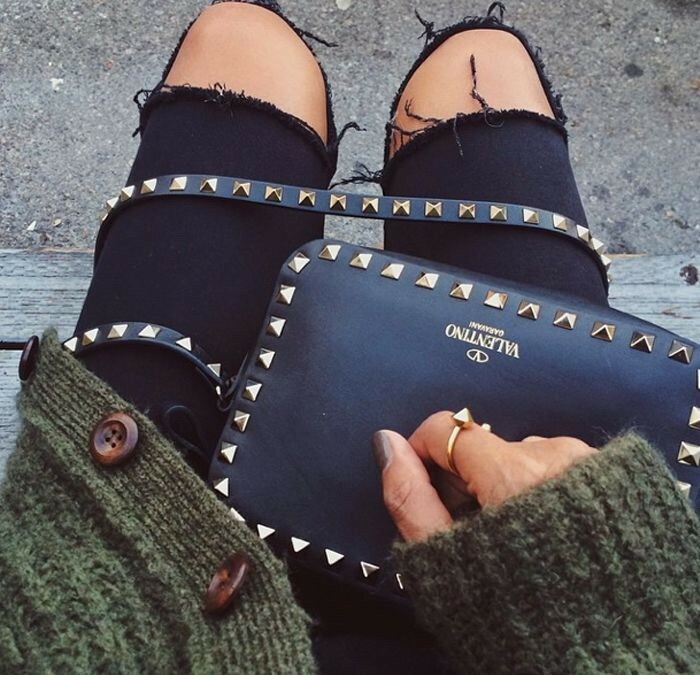 Go for knee ripped black version and style it with studded clutch-bag and cozy olive green cardigan. Some like it vintage and others keep it contemporary. In today's post we are going to observe 20 ways how you can wear your bootcut jeans from day to night. It doesn't means you have to avoid skinnies. All I want to say is that you have finally a diverse choice. The flares and bootcut styles is a trendy update after all! Keep things simple! 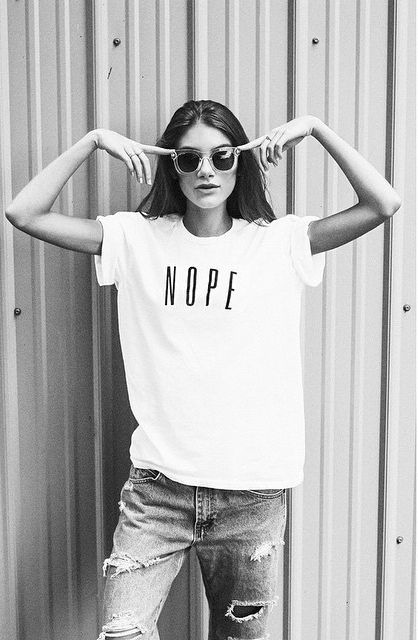 Go for a simple white tee and tuck it inside indigo bootcut jeans. Complete the outfit by adding fedora straw hat. How short can it be? This time I want to share with you an endless inspiration for wearing a denim mini skirt this year. I have gathered awesome style tips and ideas on how to wear this jeans fabric in your everyday life. Hope this collection will inspire you to buy something bright, cool and so must-have! Have some fun with simple white tee tucked in front buttoned denim skirt with patch pockets.